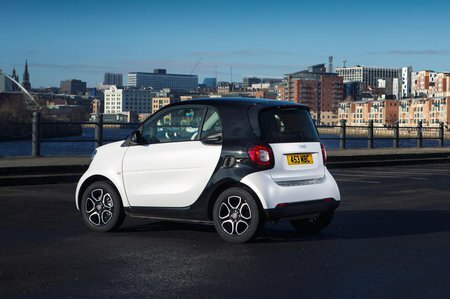 Smart Fortwo Coupe 60kW EQ Prime Premium Plus 17kWh 2dr Auto 2019 Review | What Car? What Car? will save you at least £1,564, but our approved dealers could save you even more. Prime trim focuses on luxury, bringing heated leather seats to the Passion’s standard equipment list. It’s actually not too big a financial step up, but ultimately we’d recommend saving your cash and sticking with Passion. Boot CapacityHow much space is there?